The Richard Nixon Foundation looks forward to a national conversation about the Vietnam War. The Foundation believes it is vital that President Nixon, who inherited and ended the Vietnam War and brought the POWs home, have an active voice in that conversation. To that end, the Foundation offers Richard Nixon’s own words and writings — in video interviews, on hundreds of pages of yellow pads, on many hours of White House tapes, in speeches from the Oval Office, and in his 1985 bestselling book No More Vietnams. 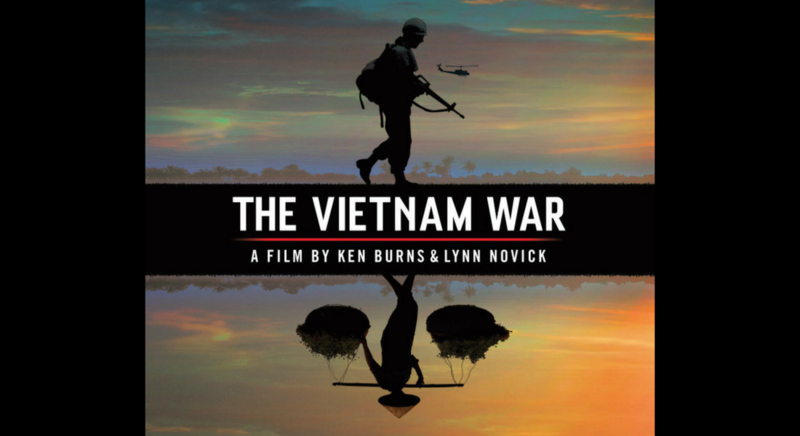 The Vietnam War is a new 18-hour documentary directed by Ken Burns and Lynn Novick currently airing on PBS stations nationwide. The film deals extensively with President Nixon and the Nixon Foundation will be correcting any factual errors and unsupported allegations. The film’s narrator says that President Nixon wrote the head of the construction workers’ union, expressing support for construction workers who were conducting violent counter-protests in downtown Manhattan. NARRATOR: At an antiwar demonstration in Manhattan, hundreds of construction workers in hardhats attacked protesters, sending 70 to the hospital. And when workers marched on City Hall a few days later, Nixon wrote the president of their union to say how pleased he was to see the tremendous outpouring of support for our country, demonstrated in your orderly and most heartening rally. The Burns/Novick/Ward account of the hard hats incident is very misleading. By leaving out all the pertinent details of the story, the filmmakers are able to convey the notion that President Nixon encouraged and rewarded violence against anti-war protesters. The film does not mention the pivotal fact that the confrontations began when New York Mayor John Lindsay — a liberal Republican who was one of the country’s most prominent antiwar voices — ordered all American flags at City Hall to fly at half-staff after the Kent State killings. The protesters, some of them waving NLF flags, demanded the release of “political prisoners” in the United States, and an end to all military research, had been assembled at the corner of Wall and Broad Streets for three days before the construction workers arrived. NARRATOR: As the President searched for a face-saving way to end the war, he continued to withdraw troops. Here, again, the Burns/Novick/Ward opinion about President Nixon’s motives is presented as fact. The Nixon opinion about Nixon’s motives is not even mentioned. The search for a face-saving way to end the war wouldn’t have taken very long — if that was what Nixon wanted to do. At any time from 1969 through 1972, his decision to withdraw American forces would have been met with great acclaim. It was precisely his refusal to make “saving his face” the criterion for American policy that prolonged the war during his first term. He subordinated his own political interests to his responsibilities as President, because he believed an expedient, face-saving, peace would only be the inevitable prelude to other, even more terrible wars. The film’s narrator says that Nixon, like LBJ, believed that the antiwar movement was directed by communist agencies all over the world. NARRATOR: Nixon was convinced, just as Lyndon Johnson had been, that the antiwar movement was somehow being directed from Hanoi, Beijing and Moscow. It is true that President Nixon, like his predecessor Lyndon Johnson, believed that the antiwar movement was, at least in some cases, influenced by communists in other countries. Based on the abundant evidence available, this was not an unreasonable belief to hold. The North Vietnamese negotiators at Paris made it clear that they were intimately informed about the activities of the domestic American antiwar movement. In regard to the Pentagon Papers, the film’s narrator says that Kissinger “quickly” convinced Nixon to take action to prevent their publication because it was “only a matter of time” before “his own” secrets leaked. Nixon, the film’s script states, “may have privately” feared that files in a safe in the Brookings Institute which “might reveal” the “secret role his campaign had played in torpedoing the peace talks on the eve of his election three years earlier, which President Johnson had then considered treason,” would leak. These also included allegations that Nixon lied about the secret bombings of Cambodia and Laos. NARRATOR: At first Nixon was not unduly disturbed about the newspaper’s revelations. They reflected badly on his Democratic predecessors, not on him. But Henry Kissinger quickly convinced Nixon that if the New York Times was permitted to reveal the classified secrets of earlier presidents, it was only a matter of time until someone leaked his own. NARRATOR: Nixon feared Ellsberg possessed more classified material that would show that he himself had lied about the secret bombing of Cambodia and Laos. And he believed that Ellsberg had had help and wanted to know the names of his co-conspirators. NARRATOR: Nixon may have privately feared something else as well. He was told that the safe at another think tank, the Brookings Institution in Washington D.C., contained files that might reveal the secret role his campaign had played in torpedoing the peace talks on the eve of his election three years earlier, which President Johnson had then considered treason. The basic fact is that the “Pentagon Papers” were top secret classified government documents that had been illegally removed from the headquarters of the Department of Defense at the end of the Johnson Administration and were, illegally, in the possession of private non-governmental think tanks. The President was informed that, at the same time the “Pentagon Papers” were offered to the New York Times and other newspapers, copies had been left at the Soviet Embassy in Washington. Until Daniel Ellsberg’s identity was discovered, the thief’s identity was a mystery. It was also clear that more than one person had to be involved with the theft and copying of so many thousands of pages. Even after Ellsberg’s identity was known, his motive or motives, and those of any other possible conspirators, were unknown. Over the years, the Nixon Administration’s opposition to publication of the Pentagon Papers has been presented as an attempt to curb First Amendment freedoms. Rather, it was an attempt to prevent the release and publicizing of secret government documents involving national security during wartime. The suggestion that President Nixon was concerned about the existence of documents dealing with his alleged activities during the 1968 presidential campaign is a conspiracy theory for which there is no proof. Burns/Novick/Ward also totally and uncritically accept and state as fact the highly speculative allegation that President Nixon wanted to obtain documents that might have indicated his alleged attempt to derail President Johnson’s announcement of peace talks six days before the 1968 presidential election. This theory, which is too conspiratorial and extreme even for Nixon’s most serious critics, is the hobbyhorse of Ken Hughes, a researcher at the University of Virginia’s Miller Center, who was a consultant on the Burns Vietnam project. The problem, in terms of the standards traditionally applied to historical scholarship, is that there not any evidence supporting it, much less any proof. To the extent that Nixon may have been interested in materials relating to the 1968 election, it was because he believed that President Johnson, and/or people at the highest levels of the Johnson White House, saw the last minute bombing halt and peace talks as a way to tilt the election to the Democratic candidate, Vice President Hubert Humphrey. Bombing of Hanoi and mining of Haiphong harbor in April 1972 was an escalation of the war. The narrator says that “some saw” increased bombings as Nixon once again escalating a war he had promised to end. NARRATOR: Americans may have approved of the renewed use of American air power to stop the communist advance into the south. But Nixon had also ordered American planes to resume sustained bombing of North Vietnam, which had been halted since the Johnson administration. Some saw the new bombing, which vastly exceeded all previous campaigns, as evidence that a war Nixon had promised was winding down was once again being escalated. It is specious to argue that any rigorous prosecution of the war — in this case in direct response to a major enemy offensive – amounts to an escalation. And it is either naïve or tendentious to claim that any such response by President Nixon contradicts his stated hope to end the war as soon as was honorably possible. President Nixon believed that responding to renewed enemy offensives with intense air power would show the North Vietnamese that they could no longer take advantage of the Johnson Administration’s restrictive rules of engagement to advance their positions. In addition, he thought that decisive applications of air power might cause the North Vietnamese to withdraw from South Vietnam, while cutting their supply lines across the DMZ and down the Ho Chi Minh Trail might end the war in a way that would provide South Vietnam with the opportunity to survive. RN: Let’s be perfectly cold-blooded about it. Because I look at the tide of history out there, South Vietnam probably can never even survive anyway. Over the course of the years that President Nixon was Commander-in- Chief of the American forces in Vietnam, his thinking naturally evolved about the possibility, or likelihood, of South Vietnam’s survival after the U.S. troops withdrew. One thing, however, is clear: until the Paris Peace Accords mandated American withdrawal, he intended to give the South Vietnamese forces every possible opportunity and advantage of training and supply. And after January 1973, he intended to honor his pledge to provide South Vietnamese forces with U.S. air support if North Vietnam broke the terms of the Paris Accords and sent troops into South Vietnam. It was the decision of Congress to withdraw funding for replacement parts for South Vietnam’s military equipment that allowed the success of the North Vietnamese troops and South Vietnamese insurgents, and then led to the fall of South Vietnam in 1975. From his first day as President in 1969, until he announced the end of the war with the signing of the Paris Peace Accords in 1973, President Nixon hoped that the democratic nation of South Vietnam, despite its government’s many imperfections, would be able to survive on its own. RN: We also have to realize, Henry, that winning an election is terribly important. It’s terribly important this year. That any consideration — much less the results of an election — was more important than the lives of American soldiers is perhaps the most serious charge that can be made against any American, much less any president. As president during wartime, when many of his political opponents were recommending policies of unilateral withdrawal and not insisting on the return of the POWs, President Nixon felt that his re-election was important in order to save American lives, preserve America’s honor, and prevent wars in the future. The film notes that the “Christmas bombing” was widely unpopular and denounced. NARRATOR: Around the world, antiwar demonstrators returned to the streets. The prime minister of Sweden compared the United States to Nazi Germany. The pope called the bombing which killed more than 1,600 civilians the object of daily grief. James Reston of the New York Times pronounced the raids “war by tantrum.” Republican senator William Saxby of Ohio said the president had taken leave of his senses. The “Christmas bombing” was bitterly controversial, and widely misunderstood. The fact that it was successful and ended the war within weeks made the decision no less easy or painful for him. In his Memoirs, President Nixon described the decision to bomb North Vietnam in December 1972 as “the most difficult decision I made during the entire war.” Specific attention was paid to limiting the bombing to purely military targets, and minimizing any possible civilian casualties, although the North Vietnamese purposely placed military facilities amidst civilian populations.